I digress… You want the recipe. 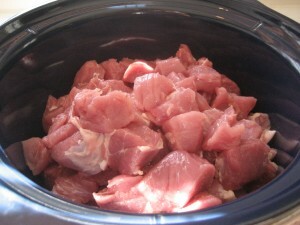 Chop up your pork loin into cubes and place in your slow cooker. Dump everything else in on top. Let cook on low for 8 to 10 hours. Stir every once in awhile. Once it’s done, use two forks to shred all the meat and then add your favorite BBQ sauce until its the consistency and taste you want. To freeze, let cool and then use the purple cup method to fill quart freezer bags. Add additional sauce to the bag as desired. This is so yummy! A girlfriend brought it to a small group several years ago, and it has become a House of Hills staple. 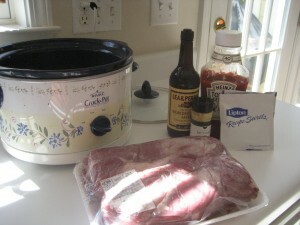 I grab pork loins when they are on sale, make some and freeze it. 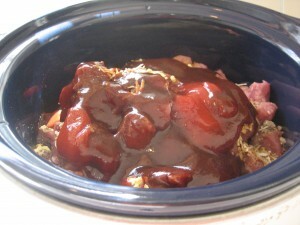 Combine the first 5 ingredients in slow cooker. Cook on low all day (8-10 hours) or high for 5-6 hours. Then, shred pork with 2 forks and add BBQ sauce to taste. We typically serve it on buns. However, I’ve put it on a baked potato, and it was divine. I’ve thought of making nachos with it too. 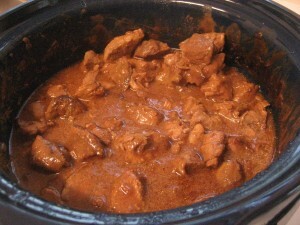 This entry was posted in Cooking, Recipe and tagged BBQ, Cooking, Recipe by KHill. Bookmark the permalink. Sounds great! We love BBQ on baked potatoes too … And I may have to try it with the nachos for sure! 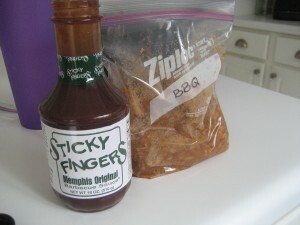 Loving that bottle of Sticky Fingers BBQ sauce! That was our favorite until I started making my own sauce recently. Thanks for sharing this easy recipe! We love our Sticky Fingers Sauce. I’ve never made my own BBQ sauce. The hubby is big BBQ lover. I’m afraid I’d mess it up. 🙂 Whenever we are in a city that actually has a Stick Fingers, we visit for sure. Great ribs. The best at Sticky fingers is the bbq stuffed potato skins. Oh now I want some!! We LOVE this BBQ! I used Dale’s steak marinade instead of worcestershire (I was out of it). It gave it a little bit of a smokey taste…mmmmmm. AND I used chicken because that’s what was in my freezer (don’t worry, I thawed it before I cooked it). So good! 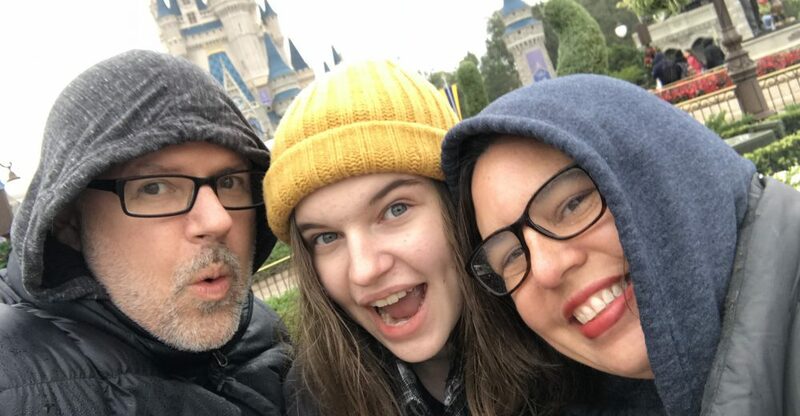 Thanks for sharing the love!